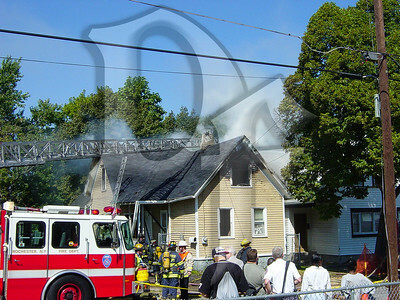 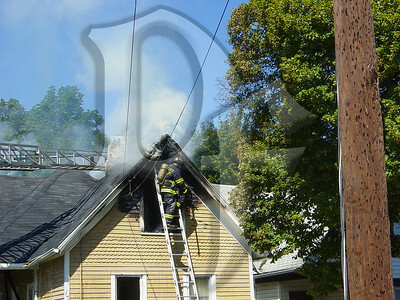 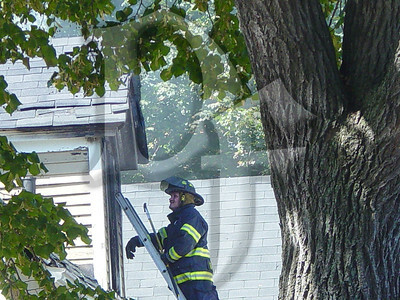 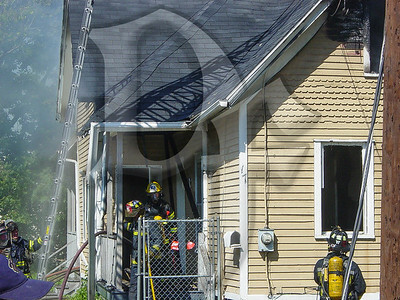 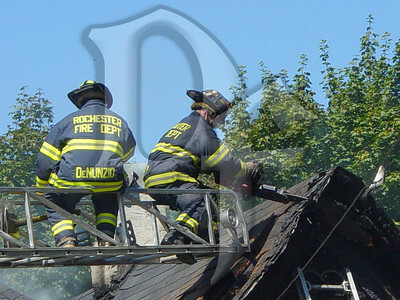 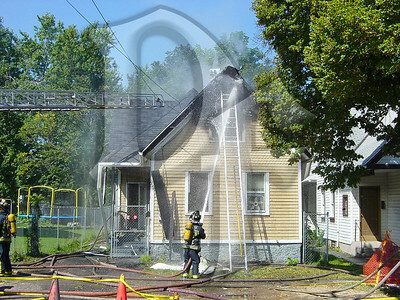 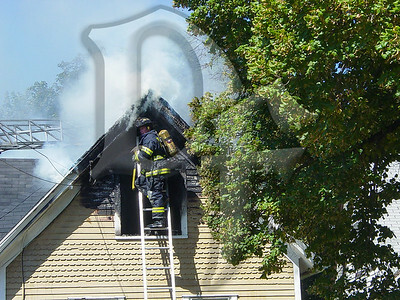 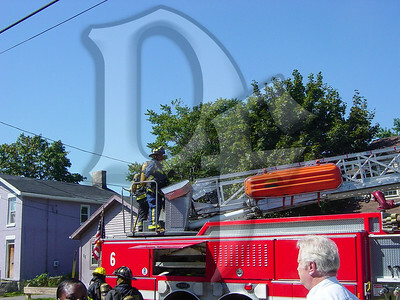 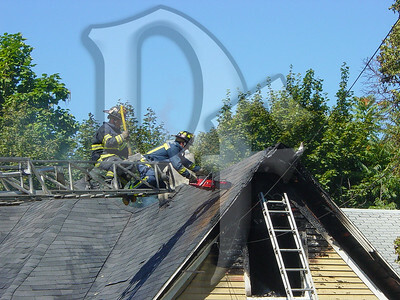 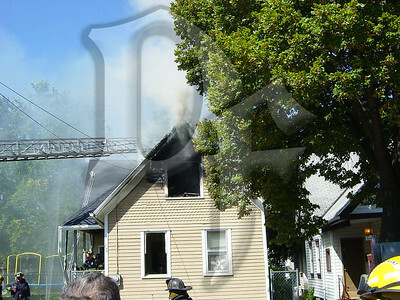 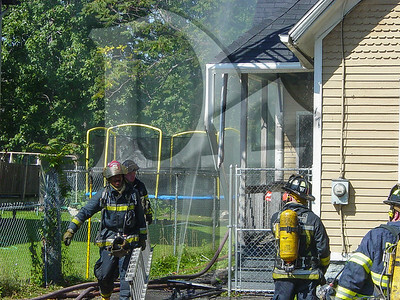 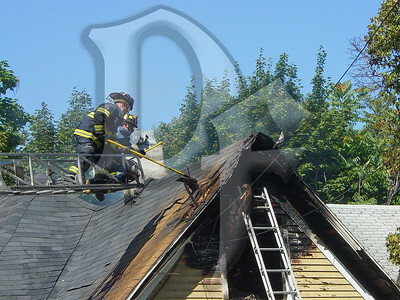 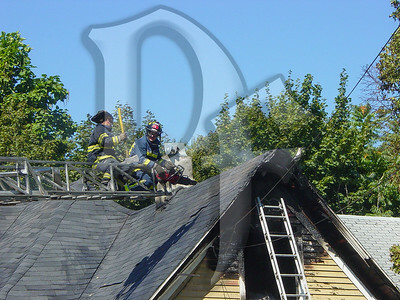 September 9, 2003 - Rochester firefighters responded to 17 Henry St. for an afternoon house fire. 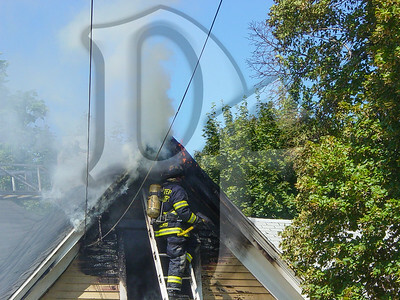 Prior to my arrival there was a scary moment as fire vented from the attic and briefly trapped a couple of firefighters on the roof. 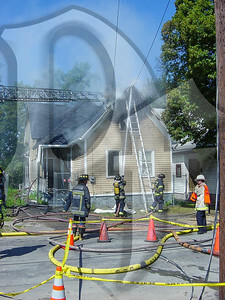 To the best of my recollection there were only minor injuries.